After the huge success of the Junior Computer, Elektuur continued to publish about build-yourself 8 bit computers, such as the 6502. The hardware was described, PCB’s were available, even complete DIYkits were sold by shops. The hardware was described in the magazine and in the 5 part Elektuur Computing specials. 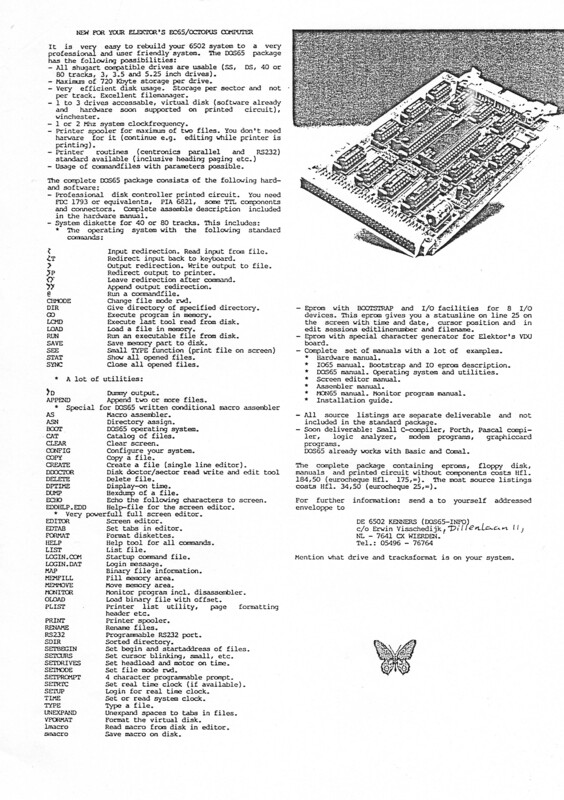 The first Computing special described a 6502 based computer called the Octopus 65. The CPU card was new, the other cards were recycled from previously magazine articles. The Octopus was developed for the Ohio Scientific OS65D operating system, as already published for the Junior. Many members of The KIM Gebruikers Club in those days were using a Junior and this new Octopus machine attracted of course their attention. As a reaction on the primitive software such as OS65D a new operating system was developed by club members: . The boot monitor was developed by Havisoft (Adri Hankel and Erwin Visschedijk), the operating system by Ad Brouwer. 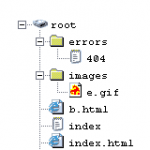 Documentation is written by Erwin Visschedijk, Nico de Vries en Adri Hankel. 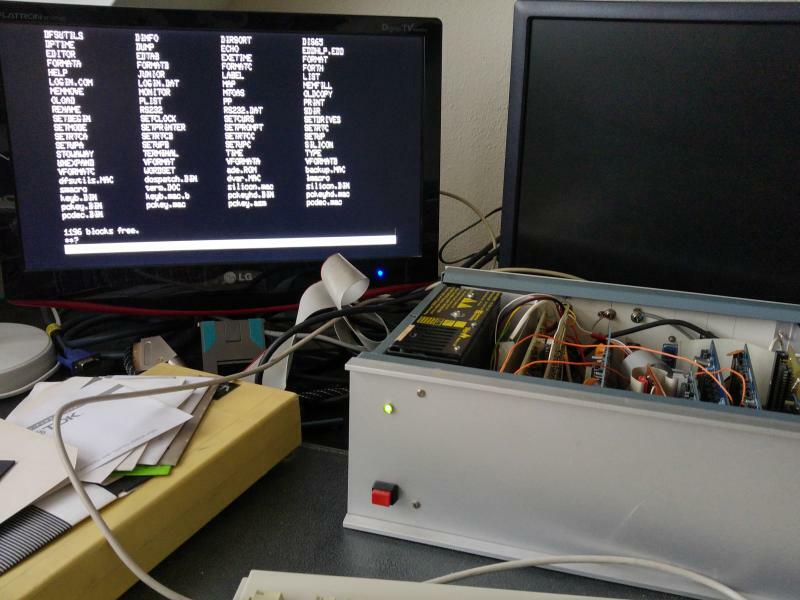 A new floppy controller based on the wellknown and flexible WD1793 FDC was designed and distributed with a new boot EPROM and an updated character ROM for the video display. The operating system came with editors, assembler, C and Pascal compilers etc. The system has been an international success, active members were found all over Europe. The machines I had were from such an active member: Andrew Gregory from the UK. He donated me his much expanded machine with for example a PS/2 keyboard and a RAMdisk. The second one is donated by Adri Hankel, one of the developers of DOS65 hard- and software. And another from Herman Hek! Thank you for this large collection of hardware, manuals, floppies! ! Also a big thanks to Ruud Baltissen for scans of dutch documents. I do not own any DOS65 system at the moment, as most of my collections: all is virtual! I know of two users with operational DOS65 systems: Ernst Elderenbosch and Ruud Baltissen.